This month’s newsletter contains a report from recent side events held by IPSI at meetings of the Convention on Biological Diversity (CBD), an announcement of a Conservation Leadership Award given to IPSI member the Applied Environmental Research Foundation (AERF), plus introductions to a new IPSI member, Grains of Hope Mobilization (GOHMO) in Malawi, and a recent case study received from the Environmental Ethics Foundation of Taiwan (EEFT). Two of the major events under the Convention on Biological Diversity (CBD) were held earlier this month at the International Civil Aviation Organization building in Montreal, Canada: the Twentieth Meeting of the Subsidiary Body on Scientific, Technical and Technological Advice (SBSTTA-20) from 25-30 April; and the First Meeting of the Subsidiary Body on Implementation (SBI-1). In addition to the serious negotiations on topics related to the CBD, two side events were held related to the Satoyama Initiative. The first, held during SBSTTA-20 on 26 April, was titled “Collection and strategic use of knowledge for mainstreaming biodiversity into various sectors”, and was organized by the IPSI Secretariat at UNU-IAS along with the Ministry of the Environment of Japan (MOEJ) and the Institute for Global Environmental Strategies (IGES). The event featured presentations on a number of activities carried out under IPSI, including the Satoyama Development Mechanism (SDM), the GEF-Satoyama Project, and other efforts related to mainstreaming. 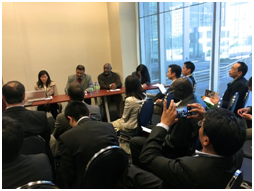 The second side event was held during SBI-1 on 3 May, and was titled “Strategic actions to enhance implementation of the CBD: recent experiences of the International Partnership for the Satoyama Initiative in Africa and Asia”. Presentations were given regarding the Satoyama Initiative Regional Workshop in Africa, held in August 2015 in Accra, Ghana, and the Sixth IPSI Global Conference, held in January 2016 in Siem Reap, Cambodia, and an active discussion followed with comments from IPSI members and others from around the world. Both events sparked a good deal of discussion, and served as valuable opportunities to raise the Satoyama Initiative’s profile within CBD processes. We hope to continue this momentum as we look forward to the Thirteenth Conference of the Parties to the CBD (CBD COP13) to be held in December in Cancun, Mexico. The IPSI Secretariat was recently pleased to hear that IPSI partner the Applied Environmental Research Foundation (AERF) was awarded the Conservation Leadership Award, which is provided by the Conservation Leadership Programme (CLP). The award is for their project on “sustainability of conservation agreements in important bird and biodiversity Areas (IBAs) from north Western Ghats, India”. We offer our congratulations and wish for the best of success for AERF’s project, and we look forward to hearing more updates in the future. We encourage all IPSI members to let us know about successes and opportunities like this one, so we can share good information throughout the partnership. For more information on this project and award, please see the CLP website here. 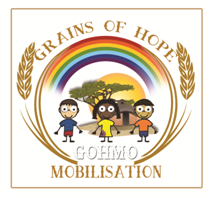 Grains of Hope Mobilization (GOHMO) is a non-profit organisation formed in 2009 by individuals who have the interest for the marginalized people in Malawi. Its mission is to “Create a generation that is aware of Health, Education, Human Rights and good governance issues and climate change so as to exploit the full potential in an effort to effectively contribute towards community and national development”, with the philosophy of “Defining the present, for a solid foundation, to shape the future”. GOHMO has involved volunteers in all districts of Malawi who work as Community Development Facilitators, and intends to employ Project Officers in some districts to increase the number of its workers. It covers a wide variety of objectives, and has vast experience in implementing programmes that promote the protection of the ecosystem and restoring of Forest Reserves. Through the Samala Nkhalango Improvement Programme (SNIP) it has been working in Thuma Forest Reserves, providing an atmosphere conducive for communities to stay around Thuma and effectively protect and manage the ecosystem and manage the forest reserve. The IPSI Secretariat recently received a case study from partner organization the Environmental Ethics Foundation of Taiwan (EEFT), on “Facilitating biological and freshwater resource conservation by agricultural activities at Gongliao-Hoho-Terraced-Paddy-Fields, Taiwan”. 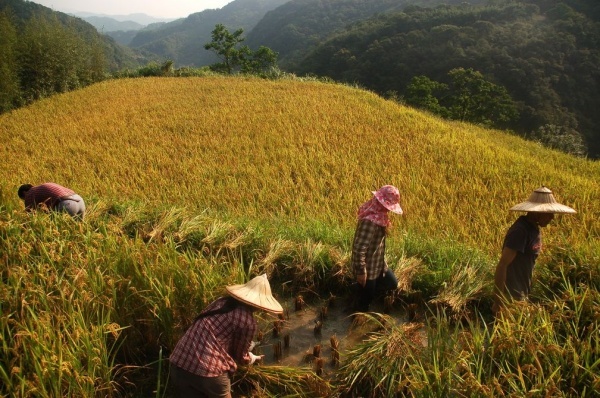 Since 2011, the Forestry Bureau has been providing support to EEFT for promoting the “Gongliao-Terraced-Paddy-Field Conservation Program” in the Shungxi River Valley, one of the largest watersheds in northeastern Taiwan. This program, with collaboration by related stakeholders and authorities, intends to protect threatened terraced paddy fields, especially those cultivated in a environmentally harmonious way. These have great potency in connecting neighboring water corridors used by aquatic species, and maintaining regional water resources. As of 2015, there were 7 hectares of terraced paddy fields co-managed by the local communities and authorities. These terraced paddy fields are cultivated using “Ho-ho Principles”, which evolved from traditional agricultural knowledge, and stand for a certification for the agricultural products. Besides agricultural production, eco-tourism and environment-awareness education have extended the financial supports to the local communities, and improved the comprehension of the public. The promoters of conservation actions will gradually transfer management to the local communities. The full write-up of the case study can be found on the IPSI website here.